[New York, NY] Based on the success of the original WizSmart premium dog pad launched in the United States in Fall 2017, Petix announces the addition of two new products – WizSmart Super and WizSmart Ultra XL – to complement the company’s original WizSmart pad, which is relaunching as WizSmart Ultra. 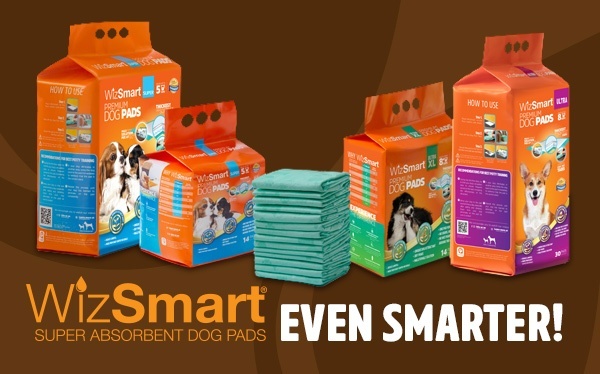 Available in retail stores and on Amazon in November 2018, the extended product line will offer more options in regards to pad size and package quantity, while continuing to offer the same features and benefits that have become the hallmark of the eco-friendly WizSmart brand. 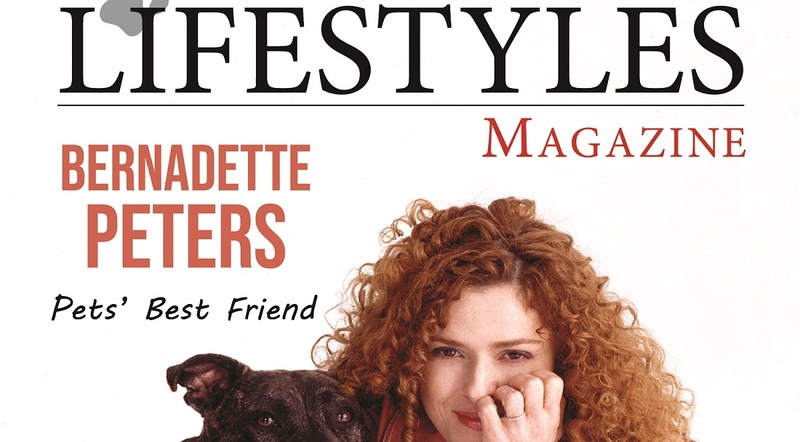 This article first appeared in the June 2018 edition of Pet Lifestyles Magazine. It was a ‘Wiz’ of a day! 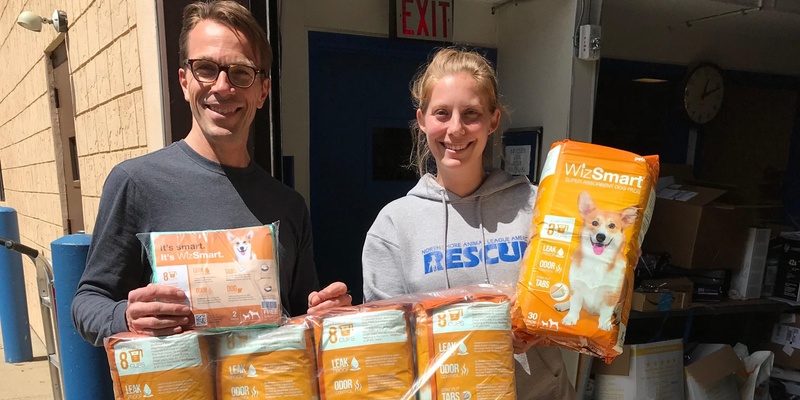 Doggy tails were wagging playfully, and human hands were clapping enthusiastically this Spring when dozens of pallets of WizSmart Super Absorbent Dog and Puppy Pads were delivered to animal shelters and rescue groups around the tri-state area. 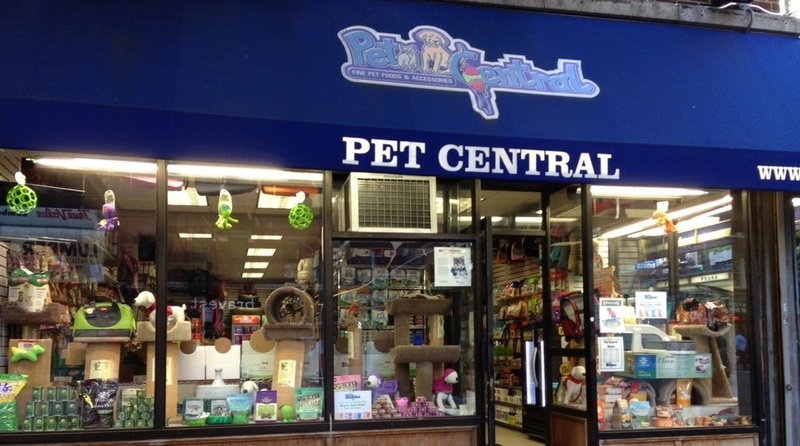 Petix is excited to announce its latest retail partnership in the New York City area with Pet Central. A family owned business established in 1999, Pet Central started with its first location on Bleecker Street in the heart of Greenwich Village and has since grown to ten locations throughout Manhattan. WizSmart Celebrates 1 Year in the U.S. by Implementing the "WizSmart Gives Back Initiative"
Petix, manufacturer of WizSmart dog pads, celebrates its first year in the U.S.A. by implementing the “WizSmart Gives Back” initiative to support animal shelters and rescue groups located in and around New York City. As part of the initiative, Petix donated over 22,000 dogs pee pads for shelter pets, fosters and adopting families to use in helping ease the challenge of dog and puppy potty training. 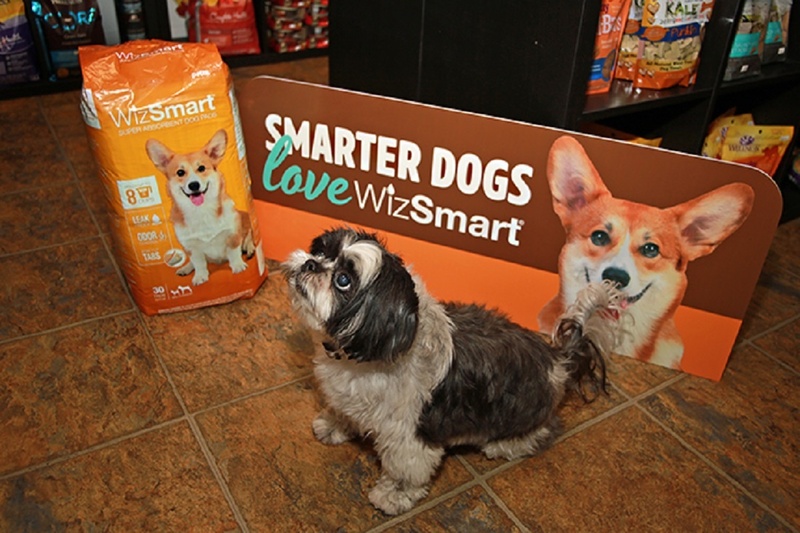 Recipients of the first annual WizSmart Gives Back initiative include: The Humane Society of New York, Anarchy Rescue & Rehabilitation, Animal Haven, North Shore Animal League America, Posh Pets Rescue, Zani’s Furry Friends, Paw it Forward Pet Pantry and Rescue Dogs Rock. These organizations were selected with the guidance of the Mayor’s Alliance for NYC’s Animals. “It’s a great product, the dogs took to them right away”, says Michael Ripinsky, who, along with Gisella McSweeny, runs Zani’s Furry Friends in Central New Jersey. “Animal Haven is thrilled to receive doggy pads from WizSmart!” said Animal Haven’s Downtown Manhattan Shelter’s Tiffany Lacey. Petix is pleased to announce its latest retail partnership with Mud Bay, the nation’s largest employee owned natural pet food and supplies store. Mud Bay has earned the reputation of being one of the best loved retailers in the Pacific Northwest and we are excited to have them join the WizSmart pack of retail stores offering dog owners a premium dog pee pad. 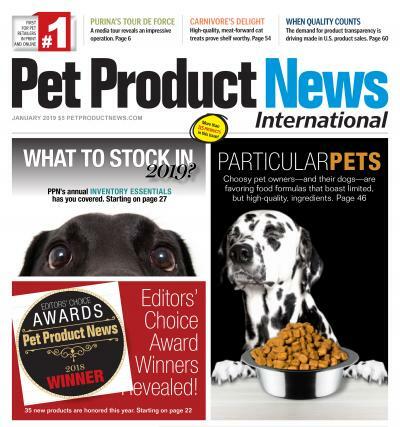 WizSmart was featured in the March 2018 Issue of Pet Lifestyles Magazine in an article written by Lori Simmons Zelenko. It doesn’t matter how long I walk Bikini, my Pekingese. It could be around the block or over to Central Park. When we come home, he makes a beeline for his pee pad on his favorite corner of the apartment. And then he soaks it. And then it soaks through. But that’s all changed now since I discovered WizSmart super-absorbent dog pads. What’s great about them? They dry quickly, so no messy tracking. They don’t leak, so forget spills and smells. They stay put with adhesive tabs, and thanks to their one-of-kind attractant formula, my dogs (actually two, Bikini’s companion is Annabelle, my ShihTzu who is a senior too, both are about ten years old) can always find their pad. 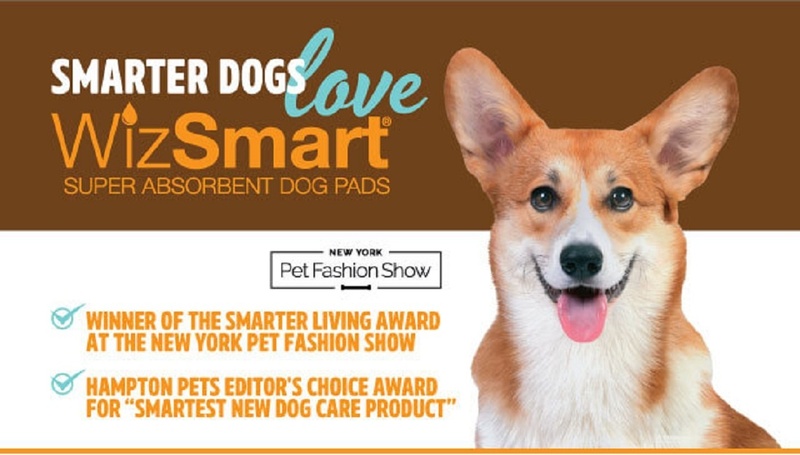 Petix, manufacturer of WizSmart Dog Pads, announces their receipt of the Hamptons Pet Editor's Choice Award for “Smartest New Dog Care Product.” Petix was honored with this award at New York Pet Fashion Week 2018 given the company’s innovative dog pee pads that are designed to provide pets and their owners with a smarter, healthier disposable dog pad solution.